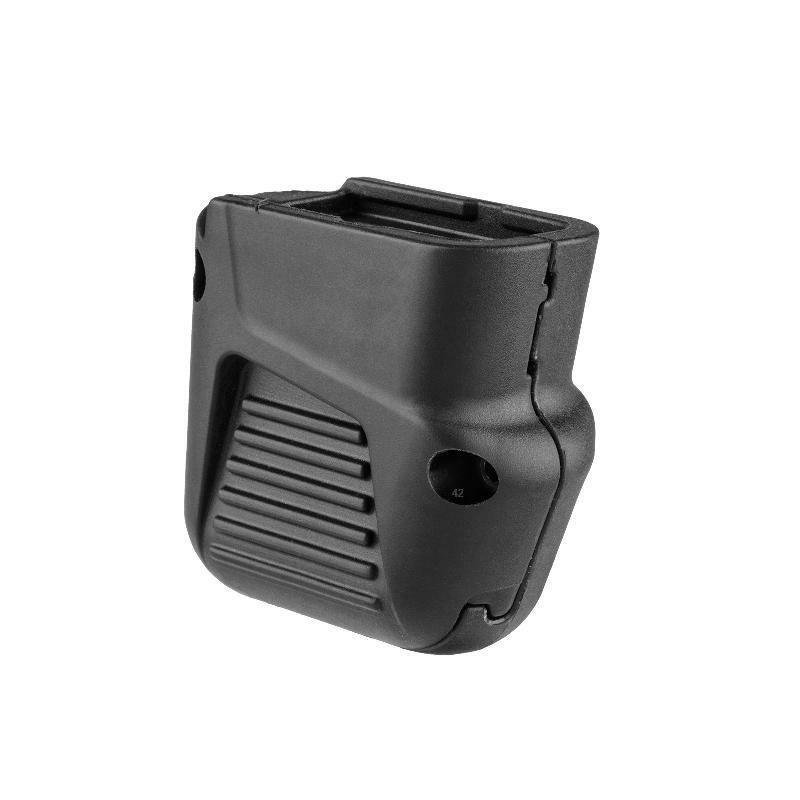 The 42-10 is a magazine floor-plate replacement for the Glock 42 (.380 ACP) that adds 4 rounds for a total of 10 rounds in a magazine. Special ergonomic design enables secure manipulation of the magazine and a full grip on the weapon when the magazine is in use. + 4 rounds for a total of 10 rounds in the magazine!